Experience the magic of a professional dog whisperer. 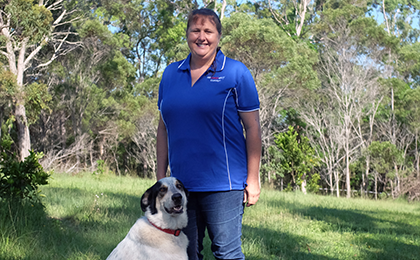 Get better and faster results with Australia’s most effective and progressive dog training, puppy training and behaviour company. 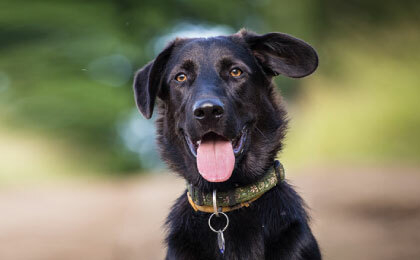 Fast track your dog’s training with our dog whisperer based training system. Achieve amazing results in 1 to 2 consults. We come to you, 7 days a week, with personalised lifestyle based training allowing the whole family to be involved. Give your puppy the best foundation possible with our in-home puppy and owner training service. Our training methods, advice and support are tailored to your puppy’s temperament and your individual lifestyle and needs. Co-operation not manipulation. 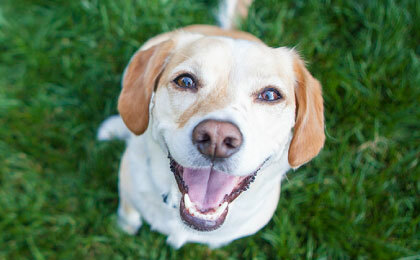 A dog whisperer understands and uses relationship, connection, energy, body language and direction of thought (intent) as the primary form of communication rather than focusing purely on teaching mechanical body actions (conditioning) or commands by using treats or punishment (both are a form of manipulation). 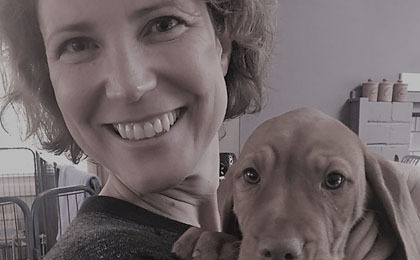 We understand that it is our relationship with our dogs and our own behaviour around them that is the foundation of achieving a deeper connection and willing co-operation. We come to you so the whole family can participate and our advice and training is based on your personal lifestyle needs. With over 25 years experience we have discovered what really works. We don’t rely on or recommend, treats, medication or punishment. 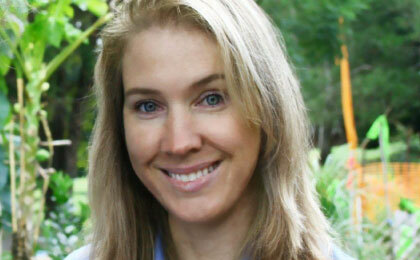 We educate and empower you to create the relationship and behaviour you want and expect from your dog. We use a holistic and natural approach. 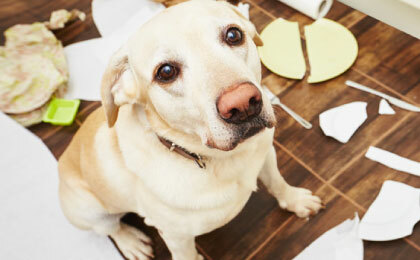 When you address a dogs state of mind, energy and relationship with their pack all problems can be fixed. 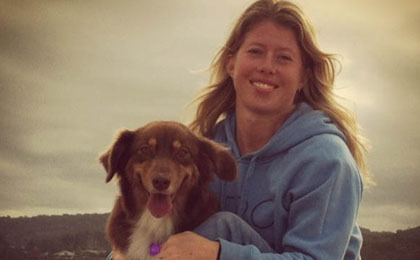 Move from simply teaching mechanical actions for treats to truly understanding how to communicate with your dog. Free email and phone support plus guaranteed results from day one. 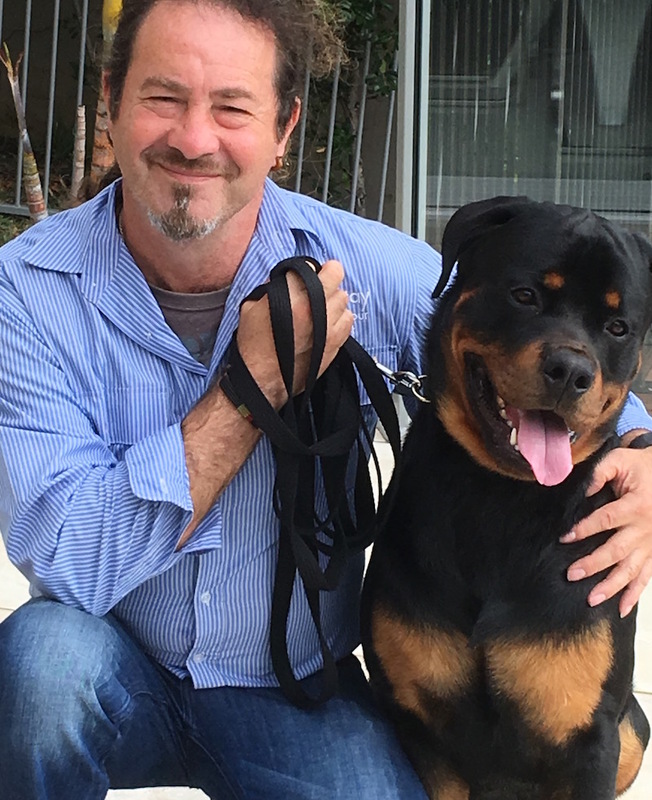 SitDropStay Director and Head Trainer, George Lygidakis has been training and rehabilitating dogs for over 25 years. 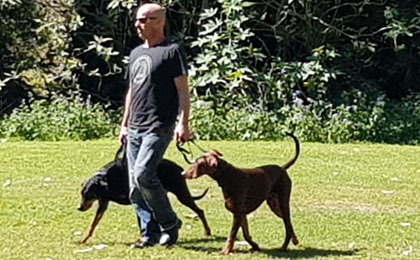 A former police dog handler and trainer, he then focused his attention on dog psychology and behaviour, as well as human and dog relationships, interspecies communication and the art of dog whispering. 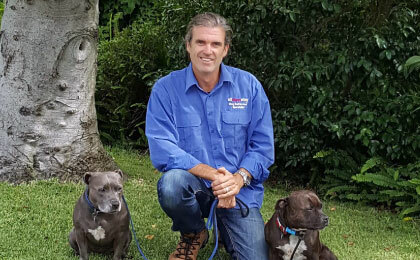 Alarmed at the epidemic of badly behaved, anxious and over stimulated dogs, and the limited advice and misinformation given by most trainers, behaviourists and veterinarians, George wanted to create a system that was simple, holistic and natural. This journey led him to realise that it is our relationship and our own behaviour with our dog that is the foundation of achieving willing co-operation. This understanding, coupled with the latest and most advanced dog training methods, is the focus of Sit Drop Stay’s unique training system – one that delivers amazing results for all dogs, regardless of age or breed, that are consistently effective. Its time to go beyond the limitations of both “positive only” and “dominance based” philosophies. 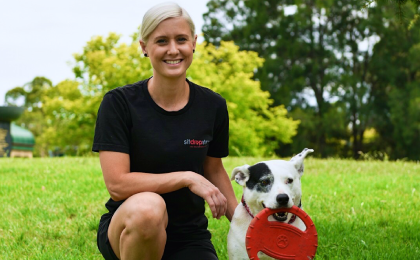 Sit Drop Stay offers a more respectful and effective approach to co-existing and interacting with your dog and changing their behaviour. 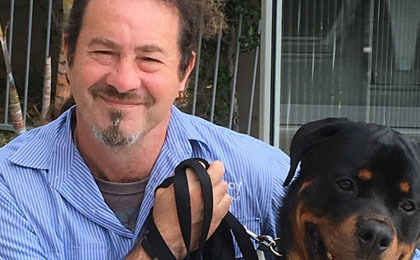 Sit Drop Stay was asked to be part of a 13 episode series which shows a young Doberman x called Candy being progressively trained for her behavioural issues by professional dog whisperer George Lygidakis. Episode 1 – Introducing Candy, the out of control dog. Episode 2 – George arrives for an assessment. Episode 3 – George provides some helpful tips to stop the dogs from jumping. Look no further. Get in touch today.